Brings out the best characteristics from any guitar. Created for total sonic obliteration on 8-string guitars, the Nazg»l starts where most passive high output pickups stop. The large ceramic magnet inside serves up aggressive tones for brutal, down tuned chugging riffs. The midrange is just a little more prominent to bring out the definition of the B and F# strings. Don't fear though, for all the gain and ruthless attack you're going to give the guitar and amp, the notes will still remain fluid and articulate. Bridge only. Designed to be matched with the Sentient neck. This 8-string Active Mount comes with exposed adjustable pole pieces. 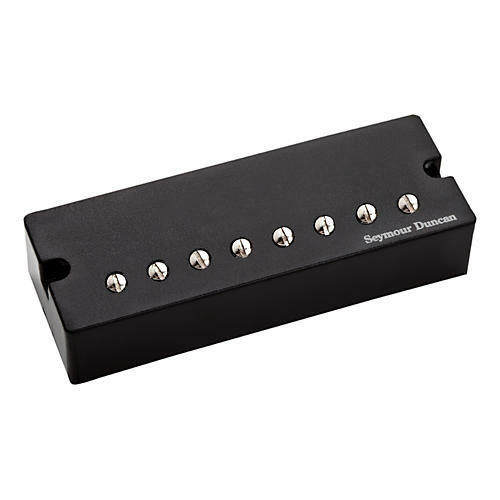 Get some great new tone by popping this Seymour Duncan pickup into your favorite guitar. Order today!